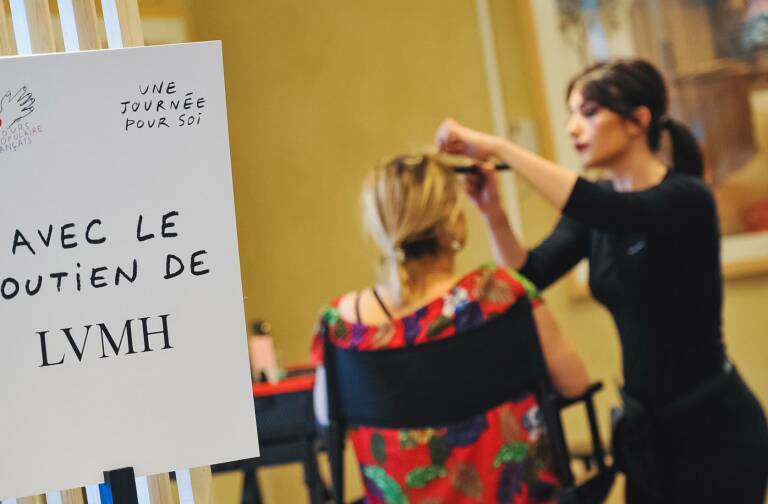 LVMH shared today, at the 1st ever European Business Forum on Vocational Training, its commitment to lifelong learning and vocational training, which stems from the specificity of «luxury métiers». The Group and its Maisons, whose business model* has proved to be a key growth and employment driver for Europe, strongly believe in fostering vocational training and lifelong learning to attract people towards high quality and aspirational jobs in the luxury sector, which fulfill specific criteria as “luxury métiers”. The specificity of the luxury sector is based on a dynamic business model but also on particular “métiers”. Those métiers cover the pursuit of constant innovation and creativity in all we do from product manufacturing, to consumer relations. But also excellence and aesthetics, know-how and technology as well as lifelong learning and the promotion of knowledge and experience. European Commissioner Androulla Vassiliou, in charge of Education, Culture, Multilingualism and Youth, said: “High quality training and lifelong learning are vital for Europe’s competitiveness and growth. The EU faces critical challenges such as high youth unemployment and a need for more investment in creativity and innovation; at this difficult time, the luxury goods market and its professions, in which LVMH excels, can offer hope and long-term prospects for young people.» Luxury métiers cover the entire chain from the manufacturing, marketing, and logistics to the selling operation and customer care. 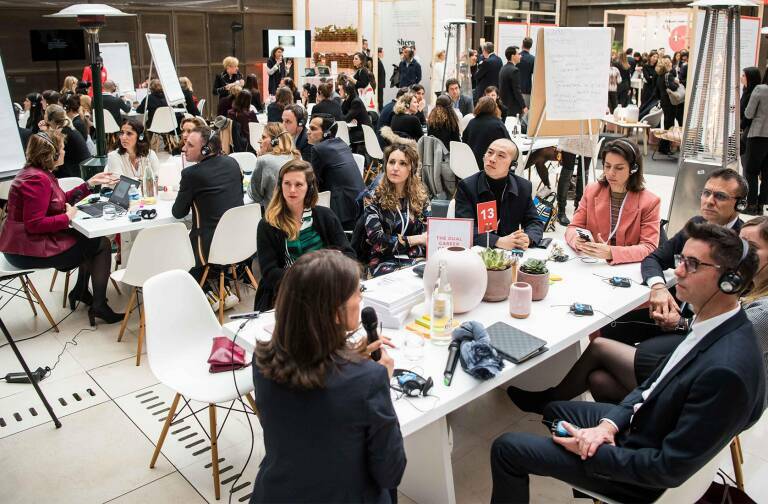 LVMH was proud to share at the Business Forum today what makes the sector so specific by putting forward its métiers as well as its experiences in lifelong learning at Group level. Louis Vuitton and Moet Hennessy were selected for the film that was presented at the Forum as they carry values related to production in Europe based on a highly skilled and vocationally trained workforce (e.g. the opening of several manufactures in France, Italy, Spain, etc. to keep the knowhow at national level), employment of senior workers who are retrained to start a new career, support to youth employment and awareness raising amongst new generations of the attractiveness of the metiers they offer (apprenticeship, etc.). 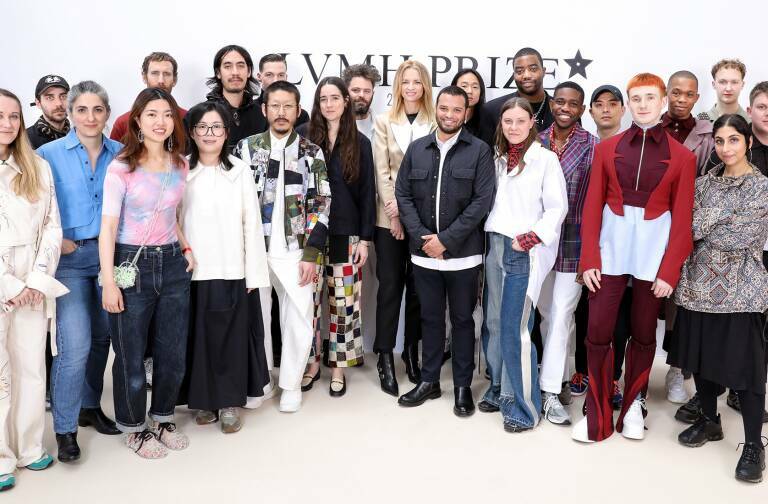 *Based on art, culture and creativity the successful LVMH business model is underpinned by continuous innovation, a relentless focus on quality and investment in highly skilled manufacturing in Europe (14,000 jobs created in 2011), with the majority of our products being exported abroad. The Group constantly strives for the highest quality in all it does, from the products and services all the way to the experience offered to consumers.